Hobby musician, floorball player, DIY enthusiast and a gadget craving software wizard. I’m a natural leader, agile advocate, and a master at software architecture, design, and, development. My ambition is to be best at what I do, to never settle for good but to always strive for great. I enjoy empowering people and improving processes through tools and communication. Currently hold a B.Sc. in Computer Science and have great experience in agile team management, software architecture and design, and development processes throughout the organization, involving steps such as; issue management, coding, version control, and quality assurance. Requirements, version control, builds, customer dialog, etc. Course for certification as Scrum Master in accordance with Scrum.org. Course held by Softhouse. Course held by Combitech in Secure Software Development, including theory and a practical part focused on web development and OWASP top 10. Work related course in software architecture, held by Informator. Work related course in Practical Project Steering. Course for project management using the project model PPS. Work related course; introductory course in Air Traffic Navigation Services. Stand-alone course, in addition to full-time study, including techniques like PHP, Ajax and SQL, at Växjö University (now called Linnaeus University). Bachelor of Science in Computer Engineering at Växjö University (now called Linnaeus University). Consulting as Senior Software Architect and Full-Stack Web Developer. In a world of high performers. Scrum Master and Lead Developer for a cross functional team taking responsibility for developing functionality throughout the company’s enterprise solution, including frontend (web based), backend (payroll engine and integrations) and database. Moved the entire development department to Git and implemented a new workflow for the entire development department. The role as Lead Developer involves responsibilities, such as, educating and mentoring other members of the development department, working with the overall software architecture and design, and, managing tasks across teams. I’ve also taken on responsibility as Supervisor for students and representing the company at university gatherings and developer conferences. Project Manager in a project towards the Swedish defense, FMV (Försvarets materielverk). Developing a new software version for their Air Traffic Management at three military airports in Sweden. Technical Project Manager in an EU related project called SESAR where the company is exploring a new market and developing a completely new system. As well as involved in communication with other stakeholders, also responsible for system architecture and design. Systems architect and designer for maneuverable camera system in product Remote Tower. Product owner for six products, involving sales responsibility and product handling with PLCM (Product Life Cycle Management). Selling IKEA’s products to private customers through customer initiated phone contact. 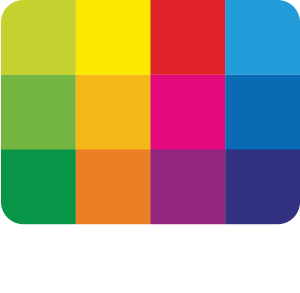 Responsible for home sales of ComHem’s services in Växjö.